Corinthian Yacht Club provides a moderated crewfinder group on Google, which helps skippers and crew find each other. Locate crew or find a boat. The Crewfinder is open to members and non-members alike. The discussion is moderated and open only to members. If you are looking to crew on a boat, please join the list and you will be notified when owners searching for crew have positions. level of experience and what kind of racing experience you are looking for and some contact information. If you’re comfortable, it would be helpful for you to post some information about your height and weight as well, but you can always work that out with the skipper later. If you are searching for crew for your boat please be clear about the positions you are seeking to fill and your expectations for your crew including experience and demeanor. 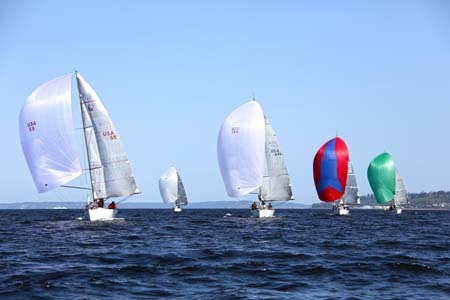 Different boats have different priorities and finding a good match should factor potential crew’s sailing priorities.